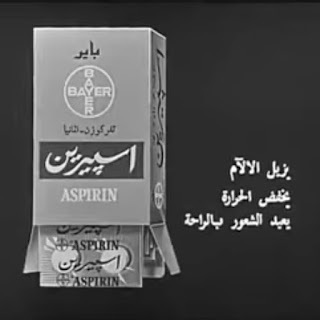 Tarek Chemaly: 1962 Aspirin by Bayer TVC unearthed! 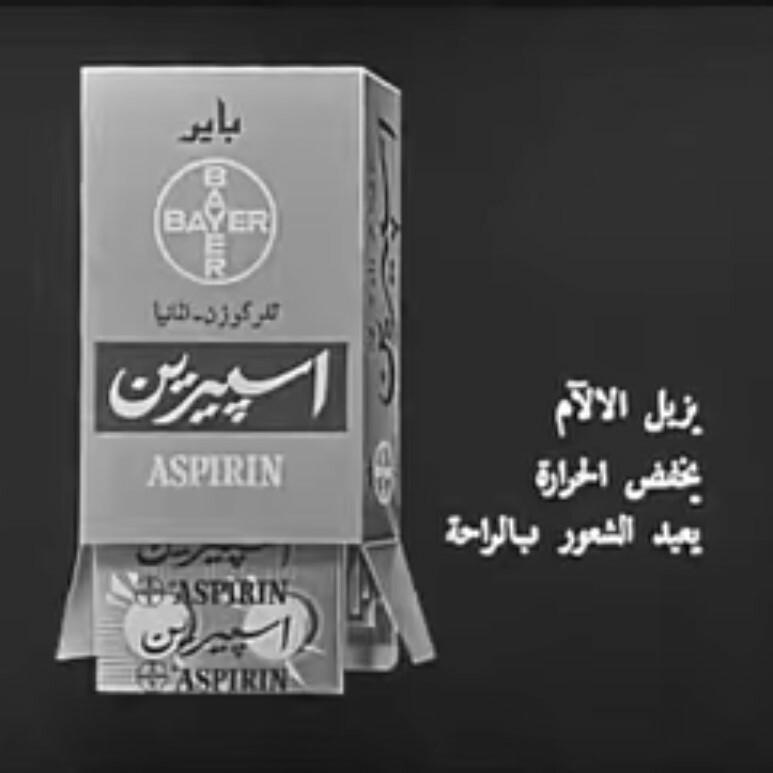 1962 Aspirin by Bayer TVC unearthed! Here is it, a 1962 ad by Asrpirin for Bayer To make you swoon! Oddly, the selling techniques have not shifted one inch since then we still sell medicines in that same way! In the words of fellow blogger Patrick Chemali (no relation) and in reply to the TVC being branded from Lebanon on youtube: "not sure this is lebanese . It sounds levantine but not quite Lebanese. Most likely it's Syrian based on words like "Yamo" instead of "mama" (or even "emmeh") more used in Lebanese alongside some accentuation of the "A and I sounds which in Lebanese sound more like "eh" and a shorter "i"﻿"